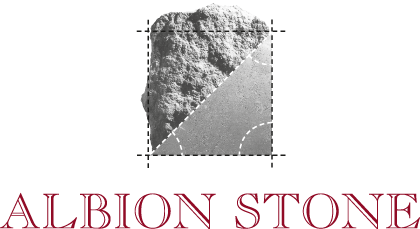 Albion Stone plc exclusively mine natural Portland Stone from the Basebed, Whitbed and Roach seams found on the Isle of Portland, Dorset. Through the largest and most advanced limestone masonry works in the UK we are able to cut this high quality British Limestone into a full range of Portland Stone products including: ashlar cladding, walling, flooring, paving, stone masonry &amp; bespoke carving commissions. Recent contracts include award wining projects such as St Paul&#39;s Cathedral, St James&#39;s Market, British Museum WCEC, Clarges Mayfair, New Ludgate and Wilkins Terrace UCL.